Boilermakers create, set up, install and repair pressure vessels such as boilers, tanks, heat exchangers, fired heaters and reactors. They generally work on construction sites or other oil and gas job sites. Each province has its own regulations for Boilermakers. To work in Alberta, a Boilermaker must be either a registered apprentice, an Alberta-certified journeyperson or someone who holds a recognized related trade certificate. The term for apprenticeship is three years and includes a mix of on the job and in-school training. Learn more about becoming an apprentice Boilermaker in Alberta by visiting Alberta Apprenticeship and Industry Training. 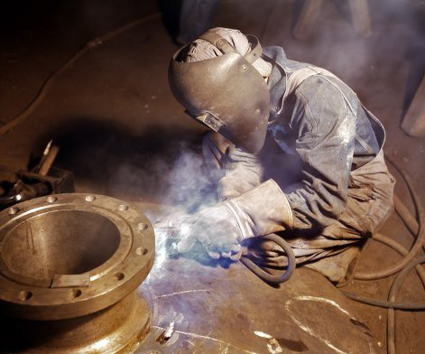 Find a Boilermaker job by checking out our Job Postings. Boilermakers are one of the most in-demand trades occupations in the oil sands industry, with almost 5,000 jobs becoming available between 2015-2019.